Linda Thompson provided feedback from a forum they attended at OLGC concerning the Catholic Women Bible Study called “Walking with Purpose”. · There are 22 weekly lessons to study at home and a monthly meeting (with coffee) for discussion. · The seven members of the committee have completed their work for this year. 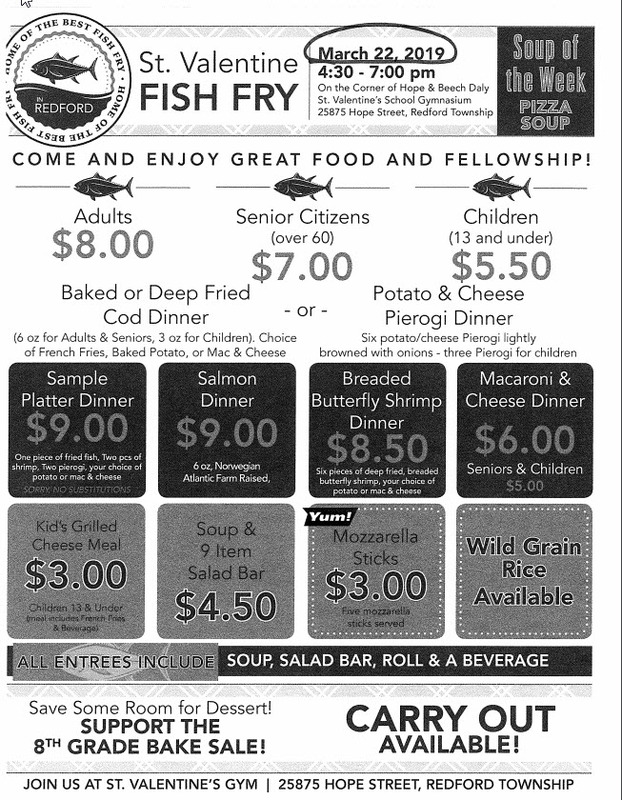 · The Lenten Soup Supper at St. Valentine went well. Funding for the LED lights project was approved by Men’s Club. They should be ready for Easter. The themes linked in today’s Scripture readings call for us to avoid sin by following the Lord’s directives, to repent, and to seek forgiveness. St. Peter, in the Acts of the Apostles, relates the evil of Christ’s passion and death, and that through repentance and conversion, our sins be wiped away. St. John, in his First Letter, reminds us that Jesus is an offering for our sins. 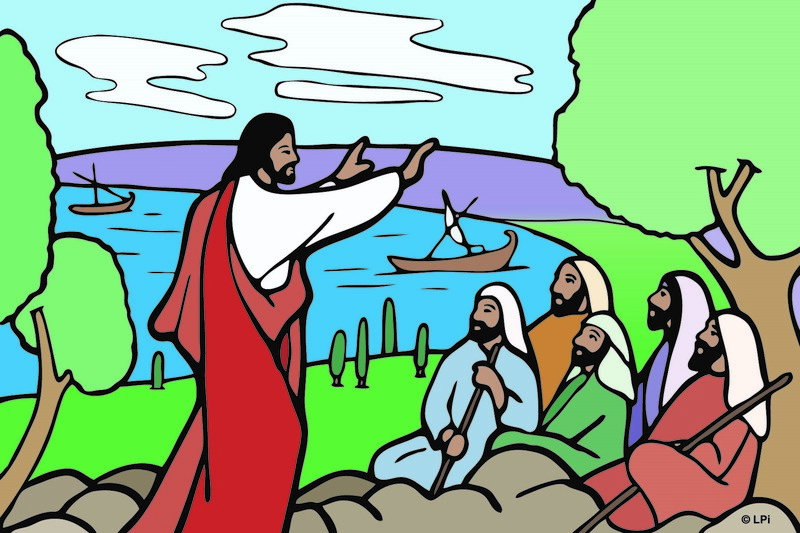 In St. Luke’s Gospel, Jesus appears to His disciples after His Resurrection while two of them recount their encounter with Jesus on the road to Emmaus. They finally recognize Him in the breaking of the bread. The Church has long taught that partaking of the Eucharist forgives lesser sins. Likewise, participating in the sacrament of Reconciliation for the forgiveness of sins opens us to Christ’s grace, bringing us closer to Him, giving us peace in our lives. This week, go to confession and receive Holy Communion to draw into union with Christ.